I have a HUGE pet peeve. People ignoring their social media. I know not everyone has the time to be online all day every day, but as a small business or a self-employed person like a writer/author, you NEED to check it periodically. If not once a day, then at least every other day. The world uses social media as a major way of communication. If you ignore it, you're ignoring possible customers. So…I don't know about you guys, but that leaves an unpleasant taste in my mouth. Regardless if they would have donated or not, all I cared about was a reply. I could have been asking an important question about their business. Business owners need to accept the fact that customers reach out to them in more ways than just the telephone these days. In my opinion, if you have no intention of keeping up with your social media, don't have it at all. Tonight I'm hosting Chick Lit Chat on Twitter!! Come on by at 8 EST and use the hashtag #chicklitchat! Tonight's topic is technology in contemporary works! My topic for tonight came from an old episode of Friends. I am a huge fan of the show and I'm in the process of watching the entire series from start to finish on DVD. In one of the early season's episodes, there was a big problem when some of the friends were supposed to be somewhere and they weren't and no one knew where they were and it turned into a huge problem. (I'm blanking on exact details, since I watched this episode a couple months ago.) But anyway, I sat here thinking to myself, "This would't even be an issue today since everyone has cell phones." This made me think about technology, or lack there of, and it's place in contemporary work. Obviously when this episode of Friends was made, cell phones existed, but not like they do in today's society. And even in later episodes--I'm now on season 9-- they all have cell phones, but they are old clamshell style. No smartphones. It sure dates the show. Which is perfectly fine for a TV series. But a book? I see distinct advantages to leaving out as much technology as you can. Authors want their books to live on and be read for years and years to come. No one wants a reader to read it and think the same things I thought while rewatching an old TV episode. But on the other hand, leaving technology out isn't the best option either. It's a part of our lives. Most people use cell phones, text messaging, Facebook, Twitter, etc…on a daily basis, not to mention computers, TVs, DVD, DVR, the way we listen to music. All these things evolve so fast. Something cutting edge now will be outdated in two years. I even think about a newbie writer working on their first novel. Usually it takes a while…years even. By the time it's done, the technology in that book is most definitely outdated. But technology is a part of life, and leaving it out can make a contemporary piece of fiction feel very unrealistic. 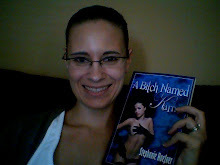 Author Spotlight! Meet Jennifer Snow! 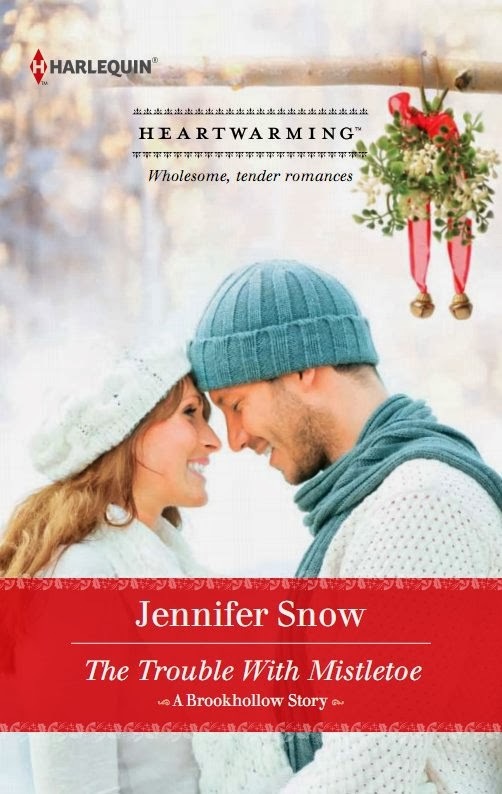 Today I'm celebrating the release of Jennifer Snow's newest book, The Trouble with Mistletoe! Jennifer sat down to answer some questions! I love getting to know authors!! 1: I see you write contemporary romance. Can I ask why? What do you love about it? I love sweet contemporary romance because of the challenge of creating an emotionally impactful story without the steamy love scenes or the extra intriguing elements such as vampires. Just the love story of two people with ordinary problems told in a unique way. 2: You’ve written a few holiday themed books. I’ve always thought of writing one, but just haven’t yet. What draws you to that? I think Christmas is the most romantic time of year, so for me it’s the perfect setting for a novel. The themes of forgiveness and second chances and new love just seem so much more magical when set with a holiday backdrop. Christmas is such a magical time! The perfect setting for this type of story! 3: Tell me a little of what inspired The Trouble with Mistletoe. The Trouble With Mistletoe is a story about getting a second chance at love and I think there are many people who remember their first love…and perhaps some who wouldn’t mind another shot at it, so this story came from a ‘what if…’ moment. 4: I love a return home story, especially set in a small town. Do you prefer writing small town or big city settings? Why? I love writing both too :) I was just in Hollywood and decided I definitely have to write a book set there some day soon! 5: Doing anything fun to celebrate the release of The Trouble with Mistletoe? YES! I am holding a murder mystery/cocktail party for my family and friends. The premise of the mystery is a book launch party where the author’s agent is murdered (sorry Stephany Evans lol) so it fit the celebration perfectly and it should be a lot of fun. Ooooh! That sounds really fun!!!! 6: I love to learn about authors and what they do beside writing. What are your hobbies? Ha! The kids definitely keep us busy!! 7: And how about some favorites! Feel free to explain! - Band- I like a lot of solo country artists, but my favorite band would be Pearl Jam. - Movie- While You Were Sleeping-nineties Sandra Bullock Christmas romance. - Vacation spot- Las Vegas-I try to go once a year for the shows and the exciting night life atmosphere. Cool! I just visited Vegas for the first time this past summer! Very fun! And I'm all about 90's movies!! Thanks so much for being here Jennifer!! Visit Jennifer's website for info on all her books! Click here!! And visit her on Facebook and Twitter! Check out an excerpt from Jennifer's new book! Victoria’s gaze fell to his left hand. No wedding band. Her relief both irritated and confused her. “Well, I guess they’re out of luck. I just bought the place and I plan on keeping it.” Luke collected the discarded packing paper from the new stock boxes. He crumpled the sheets and tossed them into a wastebasket near the counter. She narrowed her eyes. “I’m surprised you’re interested in owning a run-down sporting goods store.” The Luke she used to know would rather remodel the old-fashioned buildings in the downtown core, not own a retail store in one of them. He’d always had a talent for designing and building things. When they were kids, his derby cars were always the best in the race and she remembered the lemonade stand he’d made for her from the wood left over from building his sister’s treehouse. “We haven’t spoken in a long time. Maybe I’m not the same guy you remember.” Pulling a Swiss Army knife out of his jeans, he tore into the remaining cardboard boxes, breaking them down. Victoria had noticed the changes in him, despite her best efforts. Time had been good to him. He was bigger now, muscular and slightly wider around the waist. No longer the physique of a struggling, young, architectural student. His face showed signs of maturity, but the fine lines around his mouth and eyes only enhanced his looks. Luke turned off the lights and unplugged the strand of multicolored Christmas lights draped across the window. Only the glow from the pole lamp outside illuminated them. He slipped his coat on and wrapped his scarf around his neck. “I have dinner plans.” He stood next to the door. The familiar scent of his musky cologne made her pulse race. She suddenly remembered the nights she’d fallen asleep in his T-shirt, when he’d been away at college. “Tomorrow, then.” She stepped out into the frigid air. “I’ll come by in the morning,” she said through the icy burst of wind and snow. Reaching into her purse, she pulled out a silver monogrammed cardholder. She popped it open with her freshly manicured fingernails and slid one of her cards free. Her hand shook as she handed it to Luke. “It has my cell number on it.” Victoria’s teeth chattered. The rich, deep sound of his laughter caught her off guard. Not at all the boyish laugh she remembered. “What?” He asked, giving her a puzzled look.